Brave The Royals is the new modern alternative/rock project from Knoxville songwriter and multi-instrumentalist Brian Vodinh. A co-founder of the popular Knoxville band 10 Years, Vodinh started Brave The Royals as a side project while on a hiatus from touring a few years back. 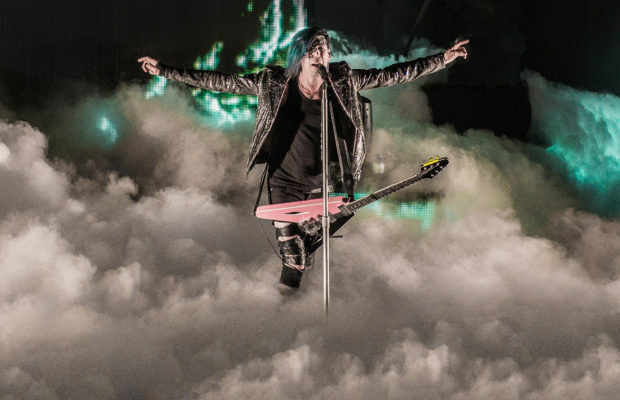 He had begun to write songs that didn’t fit well with 10 years, songs that were gritty and heavier and allowed him to make music simply for fun. Although the songs have a more metal and heavy sound then 10 Years, they still retain a melodic undertone. With honest lyrics and anthemic sing-alongs, Vodinh played all of the instruments when it came time to record the songs. 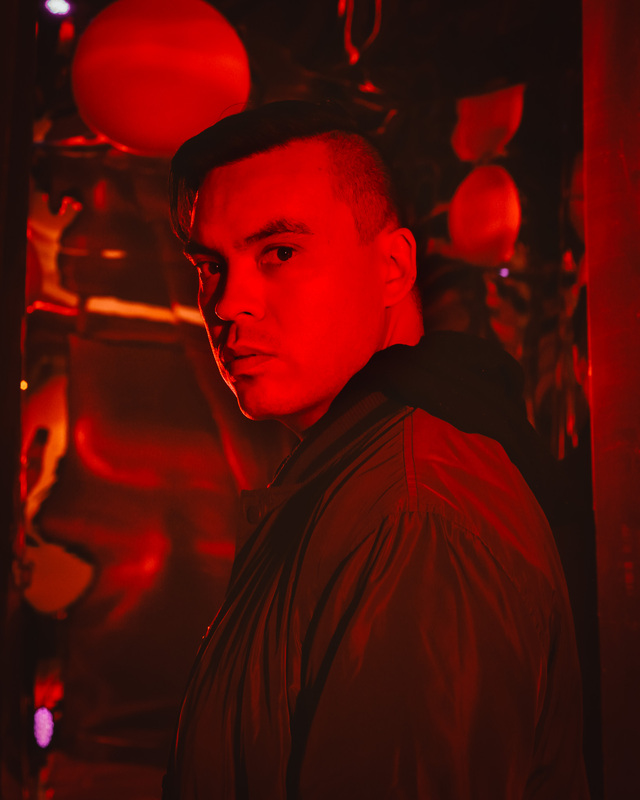 Vodinh recently released the first Brave The Royals single “Dreamer” from the soon-to-be-released EP, along with an accompanying video. He says ““I wanted to create a video that signified personal growth. Being a dreamer, in the context that the song is about to me, is truly about stepping out of your comfort zones and trying to kill off the fearful version of yourself that is holding onto the past and essentially holding yourself back. It’s a song and video about embracing who you are and stepping out of the shadow of fear and following your heart and chasing your dreams.” Having recently re-joined 10 Years as a touring member, Vodinh has plenty to keep him busy between the two bands and plans to focus on Brave The Royals when 10 Years has a break in touring. 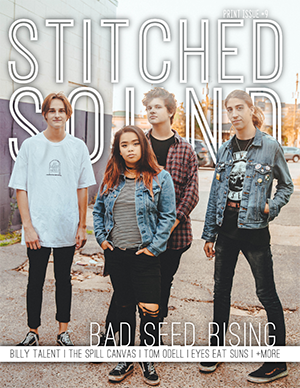 The band will be performing with Badflower, Pretty Vicious and Deal Casino on April 29th at The Concourse in Knoxville. You can purchase tickets here and view the event page here. You can follow Brave The Royals and stay up-to-date with all upcoming tour dates and music, as well as stream and purchase his music via the following links. Check out the video for “Dreamer” below. 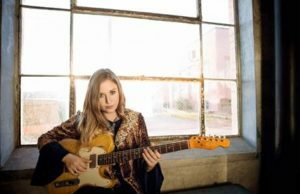 You were a founding member of the Knoxville-based band 10 Years and had to take a hiatus from touring a few years back. During this time you started writing songs that you mentioned weren’t really a good fit for 10 Years and decided to start a side project, Brave The Royals. What do you feel led you to write songs during this time that were heavier and grittier? During my time away from touring I got the itch to write songs that I had not had the chance to fully explore yet. 10 Years has heavy moments but the original material for BTR was super heavy and more progressive. At that time I had only planned on playing guitar and singing some backups, so I wanted to play cool riffs. Eventually, the singer that I was playing with had to step away from the project so when I decided to take over vocals the sound of the project drastically changed and became something totally different. What can you tell me about the other members in Brave The Royals? How did they come to join the band? Do you write all of the music and melodies or is it collaborative? BTR is essentially a solo project from a creative standpoint but I have a couple of amazing humans that play with me on stage. Luke Narey and Chad Grennor play with me and are incredible musicians and really understand what BTR is and what I’m trying to achieve with the project. I met both of them because I produced their own bands in the past. 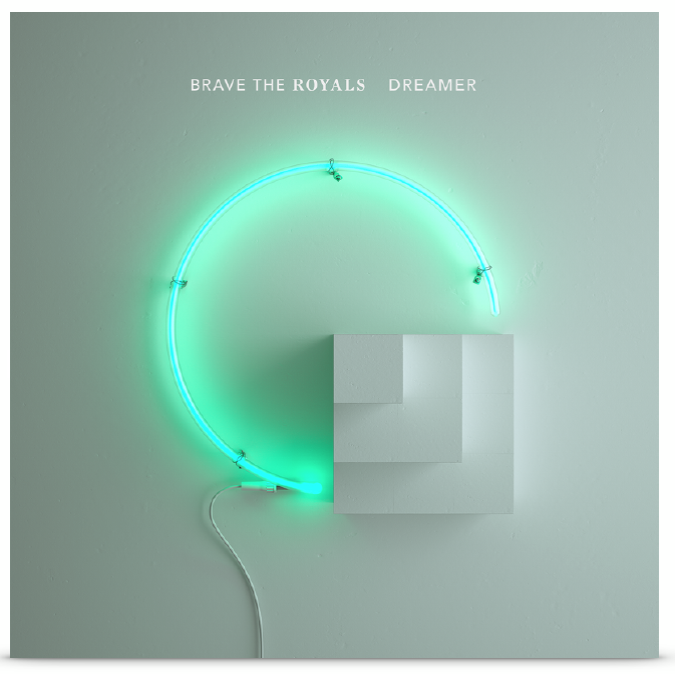 The Brave The Royals latest single “Dreamer” was recently released, along with an accompanying video! What was the inspiration behind the song? What was the idea behind the video and what was the filming process like? Did you have ideas for the video to look going into the process? Dreamer is a song about pushing past your fears and being willing to sacrifice to accomplish your goals. All of my close friends can attest to the fact that I’ve always dreamed big and without that type of mindset I wouldn’t have been able to get to this point in my career…yet I still feel I have so much music in me to share with the world so it’s also about the continued fight. I read that you have your own recording studio, Song Creative. What led you start your own studio? Yes, Rain Song Creative is my studio in Knoxville, TN. After I worked with the producer Howard Benson on the 10 Years, Feeding the Wolves album, I really wanted to have my own spot to develop my music and also work with other artists. I’ve always had an interest in recording and the art of it and having my own spot has been awesome. During your hiatus from touring with 10 Years, you and your wife formed a real estate company in Knoxville and you worked as a realtor. How did your interest in real estate come about and what do you enjoy about it? Do you think it’s something you’ll do more of in the future? I’ve always had an interest in real estate but never had the time to dabble in it much. My hiatus from the road was mainly because my youngest child was born extremely premature and was in the hospital nearly the first year of her life. During that time touring wasn’t an option so I had to figure out something to do at home. We spent everyday at the hospital with our little girl so I decided to get my real estate license since it’s a flexible career. It worked out really well for me and my family and then finally after a couple years my daughter was healthy and strong and my wife gave me the blessing to get back to music, my main passion. You have rejoined 10 Years as a touring member once again! What has it been like playing live with them again? When the band first started, you played drums but since rejoining, you play guitar. How has that transition been? Has it been a challenge to juggle your time between the two bands and your family? Time and scheduling can be a challenge but so far I’ve been able to make it happen. Having a lot going on is ok for me when I’ve planned really well, so making best use of my time and really planning ahead helps a lot. And I always prioritize family and making sure I get enough quality time with my wife and kids. That also helps recharge my creative side. And as far as playing guitar goes, it’s always been interesting because when I first started 10 Years back at the end of my sophomore year of high school, I started it with a Les Paul and a Marshall half stack and thought I would be the guitar player! That didn’t work out as we couldn’t find a drummer. So I ended up playing drums in the band since we couldn’t find anyone for that spot and I knew so many guitar players. I’ve played drums and guitar on every 10 years record, and even bass on a couple, so I’ve always felt that my role as a musician wasn’t on a specific instrument, but more as just a songwriter and I’m fortunate enough to be able to play a handful of instruments and bring what I hear in my head to life. You started writing songs when you were really young and discovered your love for it. You’ve said that you aim to use your songwriting to connect with people. Do you feel you have achieved/are achieving that? How do you feel that your songwriting has evolved over the years? How do you feel that forming Brave The Royals has helped you to grow as a songwriter and a musician? Songwriting is such a great communication tool and a means of therapy for me. I definitely feel that my songwriting has evolved and grown over the years. BTR has helped give me an outlet for the thoughts that have been trapped in my mind for a long time. I’m not the most social person, so I do enjoy forming a connection with listeners through the music. Brave The Royals will be releasing a new EP later this year. What can people expect from the EP? What was the writing and recording process like? You have said that the album came together really quickly and that you feel more inspired now then ever before. What do you feel has contributed to your inspiration? Why do you feel these songs came together so quickly? It’s really liberating to not have any constraints on you when creating. With BTR, I just write and record everything by myself and I thrive off that alone time. I really enjoy exploring sounds and taking risks musically and experimenting in areas that I know won’t necessarily work with 10 Years. For the upcoming EP, I believe the process of writing and recording went so effortlessly because I was inspired by the fact that I was just allowed to set my own rules and process. I worked mainly on instinct as opposed to thought. As a musician who is constantly evolving, do see yourself experimenting with different sounds going forward? Absolutely. I am always trying to discover new sounds and new ways to create. It can be inspiring and set a course for a new direction. Brave The Royals has a show coming up in Knoxville with Badflower, Pretty Vicious and Deal Casino on April 29th? What are you looking forward to with the show? It’s always fun to perform in front of people who may not be familiar yet with the band. It’s like we have something to prove. 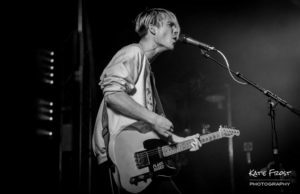 Badflower has had a lot of success lately so if will be awesome to share the stage with them and hopefully win over a few fans in the process. What’s next for Brave The Royals? We will be hitting the road this year and releasing the EP soon as well, so mainly just slugging away on tour and trying to win over some new fans!